In the "brilliant novel" (The New York Times) V.S. Naipaul takes us deeply into the life of one man—an Indian who, uprooted by the bloody tides of Third World history, has come to live in an isolated town at the bend of a great river in a newly independent African nation. 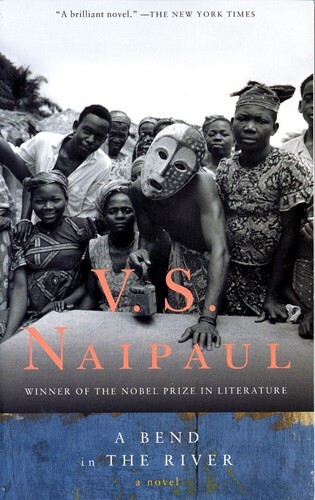 Naipaul gives us the most convincing and disturbing vision yet of what happens in a place caught between the dangerously alluring modern world and its own tenacious past and traditions. From the Trade Paperback edition.